Honesty & Faith Hardware Products Co., Ltd. was established in 2003. With more than ten years of experience, we have been producing and exporting sink strainers. Our sink strainers are mainly made of stainless steel and brass with chrome plated, silver, brass, gray, black painted surface. As for the producing technique, perforated sink strainers and mesh sink strainers are your best choices. They provide an ideal solution to cleansing your kitchen, bathroom, bathtub sinks. What types of sink strainers do we supply? Chrome plated, gray, black, silver painted sink strainer. Sink strainer is a part of a whole filter system. 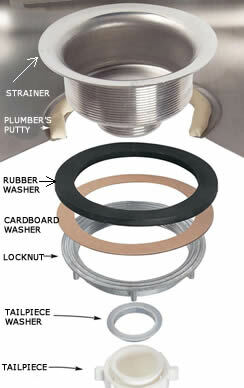 A complete filter system includes sink strainer, strainer body, plumbers putty, rubber washer, cardboard washer, locknut, tailpiece washer, tailpiece just shown in the picture. There are various sink strainers in different patterns, materials and colors. Here are some suggestions for you about how to choose the right sink strainers. 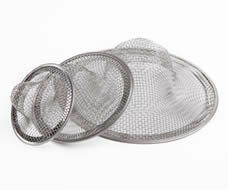 If you intend to install sink strainer in your kitchen sinks, mesh sink strainer is an ideal one in that mesh sink strainer has high-density holes and can hold tiniest food debris, preventing them going down the drain and creating blockage. If you want to install sink strainer in your bathtub, perforated and basket sink strainers are suitable, for they have big mesh holes to allow waste water to flow fast and smoothly. 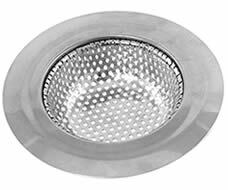 When you install sink strainer on the bathroom floor, the flat sink strainer is a perfect one. Flat sink strainer can be easily covered on the floor, forming parallel with surrounding floor. It will not form dead angle, causing cleaning trouble. As for the colors, there are different colors of sink strainers for you to choose from. It all depends on the color of your sink. If your sink color is silver, choose the silver painted sink strainer. If the sink is brass, then the brass sink strainer is the right one. We produce high quality sink strainers. 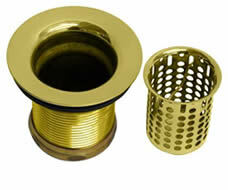 As for material, our sink strainers are made using high quality stainless steel and brass. All of the sink strainers have strong and robust structure. They can be used for long service life. As for surface treatment, sink strainers have chrome plated, powder coated and polished surface treatment, which makes sink strainers resist corrosion, rust, poisonous chemicals and heat. 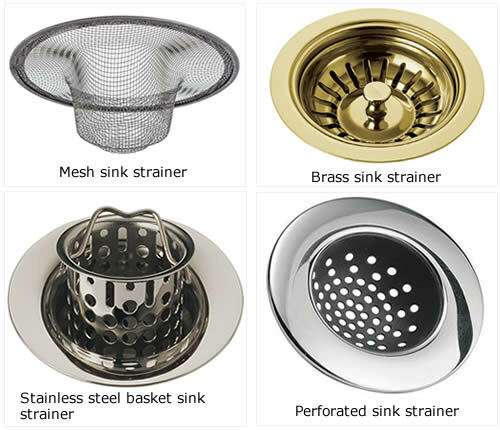 Sink strainers are essential components in the complete set of sink appliance. They are tiny and the price is reasonable as well. The price is all based on the national charging standard. The price is acceptable, cutting your expenditure to a great extent. Before delivery, we promise that sink strainers are safely wrapped with plastic bags or blister cards in cartons. We assure that the products can be delivered timely with reasonable freight. Serving customers is our company's principle. We can benefit a lot from them as well. On one hand, we enable to get advice from our customers. Based on their advice, we can learn how the products work and how to make our products more perfect to use. On the other hand, we can help customers analyze and solve the after-sale's problem and provide settlements for their trouble timely. Furthermore, we can enhance our customers' satisfaction and our sales quantity improves as well. Sink strainer is used to strain solid debris, food particles, hairs and waste. It allows water to pass through and prevents the waste clogging the pipes. Perforated sink strainer allows water to pass through and stops food debris, hair, essential things clogging the drain in kitchen, bathroom sink. Mesh sink strainer with mesh holes lets waste water pass through. Food debris, residue and essential items can not fall down and clog the sewer. 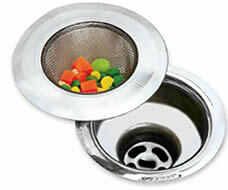 Basket sink strainer helps prevent unwanted food debris, hairs, residue and essential items falling down and blocking the drain. Here we introduce basic steps about how to install a sink strainer with simple tools in your home.